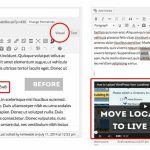 It feels not too long ago, I have posted my screencast or video to install wordpress 3.1 and just a few days ago, I read wordpress 3.2 is on the plan to be more fast and light. 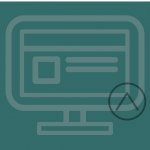 (related post: admin wordpress 3.1 slow and how to disable wordpress admin bar). 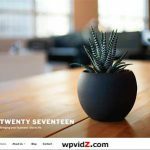 The exact date of WordPress 3.2 release date is still unknown, but it is already planned to be changed here and there, like the upgrade improvements, lighter theme, including WordPress 3.2 PHP and MySQL new requirements. I have also mentioned that in my older post, WordPress is somehow too frequent to update in my opinion. In wordpress news blog, it is stated that wordpress 3.2 will have new requirements on the PHP and mySQL requirements. 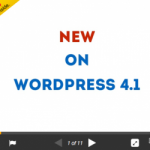 Unlike WordPress 3.1 (recent version) that still can use PHP version 4, the new upcoming wordpress will not run PHP 4 below. The PHP version to 5.2 will be the minimum to run your wordpress blog, since 11% of total wordpress installations world wide still use PHP version 5.2 below. (mine is above 5.2 and to find it out I will show you later on still in this post). And for MySQL new requirement will be will be MySQL version 5.0.15, minimum. I will also will show you how to find MySQL version. 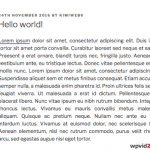 WordPress 3.2 – How to find out my PHP version? In the wordpress news article above, it is written you can use healthy check plugin to check all versions you have. But I personally haven’t tried this plugin, because I use manual way without adding or install another plugin. The reason is because I am a little “afraid” with new plugin if I have an alternative checking it manually and the way I checked, is also not complicated. 1. Create a .txt file with notepad, called, myphpinfo.txt, save it in your desktop. 5. Upload it to your webserver, I used it with FTP (see how to use FTP in wordpress), but in this demo, I use cPanel, the non-techie way and easiest. 7. You will see your PHP info datas, like in this following image. Your PHP version is highlighted in red with red arrow. Now we will look for your mySQL version. Note: Delete this myphpinfo.php file, once you’re done! WordPress 3.2 – How to find out mySQL version? The step to find out mySQL version is not too far from the steps above to find out your PHP version. When you typed the path to your “myphpinfo.php” file, and scroll down to SQL, you will see API version. That’s actually your MySQL version. So why would we want to find PHP and MySQL version of our wordpress blog? It is simply because to be prepared, if you have the versions that are accepted for wordpress 3.2, then be relaxed with the next update, otherwise, start to look for another webhosting that support this requirements, like HostGator or JustHost at least. Be prepared when wordpress 3.2 is out, it will be faster, so they said! 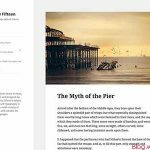 → WordPress Update – Is it necessary and important to update wordpress blog? Thanks for the always insightful and well prepared articles. I always check out your blog when it comes to WordPress questions. A new change?… wow… Im just getting used to 3.1. Thanks for the heads up! I have a question about a theme problem. Should I post here or create something new? Many thanks! Yeah me too, but I guess it will need a few months until it is out. You can post anywhere you like. Always enjoy your posts and your videos. I’ve just started a mini series on using online video. As someone who makes using video look very easy, I would value a comment from you. If you can spare the time please head over to easyP and leave me a comment. Thanks for coming accross, and leaving a comment! Initially i thought there might be an error uploading WordPress core files so i deleted all and re-uploaded again but result is same as above. Can any body helps me. Any suggestion..?